This same time last August, I was also surrounded by recycled t-shirts scraps. Two of my designs were going to be featured in an upcoming book, and I was madly perfecting each detail as the deadline loomed large. One year later, a copy of that very book arrived in my mailbox, as it did on every major bookstore shelf around the country. Wow! 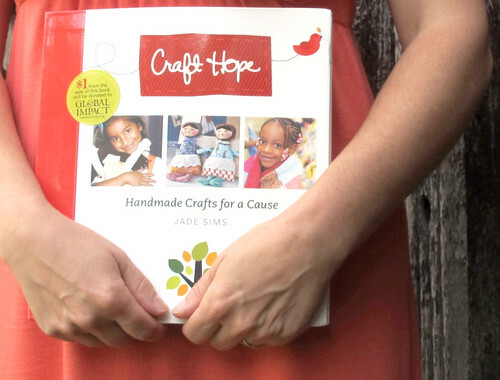 How exciting to share it with you: Craft Hope: Handmade Crafts for a Cause is totally unique in the craft/sewing book genre... and I'm so grateful to be a part of something so meaningful. Author, Jade Sims, assembled a wonderful crew of designers to contribute a varied array of projects that are perfectly paired with an appropriate charity. As this online crafting revolution gains speed, it's wonderful to have a guide that channels all that creative energy into handmade goods for those with the most need. Craft Hope is that guide. 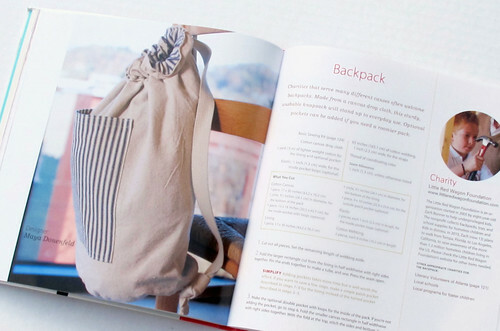 It feels powerful to turn through each page and see all of the possibilities that any home sewer/crafter can create to make a tangible difference in someone's life. These backpacks are destined for The Little Red Wagon Foundation (founded by a 12 year old!) and other organizations that support underprivileged children across the globe. 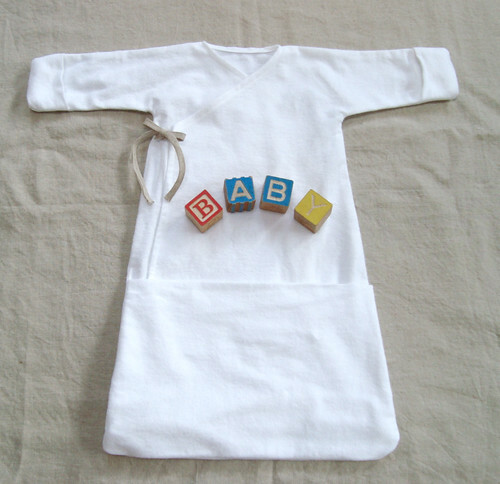 They sew up quickly and can be made in bunches! I intentionally designed these kimonos using recycled t-shirts and gently used flannel sheets... something many of us have on hand. It's also the softest material next to a newborn's delicate skin. Easy on and off gowns were my favorites when my babies were little. I took all of the best features of newborn clothing and created these two crossover sleep sacks. Of all the things I've ever designed, these are my favorite. Really! I can't tell you how amazing it feels to think that they could be made for babies all over the world who need them the most. Takes my breath away. I'll leave you with this photo I took last year before I sent the final kimono off to the publishers... the wonderful Lark Crafts. With all of the shirts I collected for ruffled skirts... I set aside my softest ones for some of these... maybe you will, too. These are great -- love your designs! I can't wait to see all the other projects in the book! Love your designs! Keep them coming. You are very talented! your designs are wonderful. Looking forward to owning this book. I have to tell you I have been in love with that backpack ever since you did a post about it. Love the ticking and the canvas look. I was just at Barnes and Noble ordering a book the other day and saw the book, but didn't pick it up to read...UGH! Had I remembered it was where you were going to be showcased I wouldn't glosses over it and possibly bought it. I didn't know that you participated on this. Love it. I wish I could get a copy. What an amazing project! Thank you for sharing! I just found your blog...that kimono is so sweet! Hi Maya, just discovered your blog. The book looks amazing. 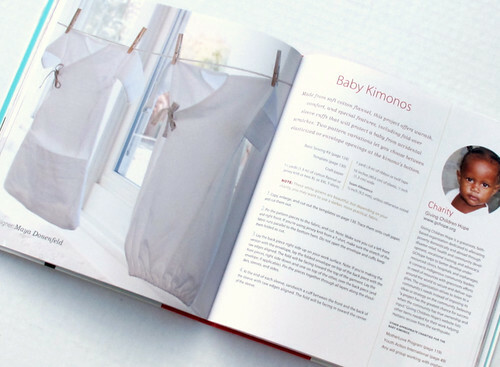 I hope it hits our shores soon, before my littlest one is too big to wear your kimono - I'd love to have a go at sewing it for him!